Kazakhstan is a pleasant surprise. You’d expect a dictatorship famous for Borat to be a soviet backwater, but thanks to oil and gas the country is the most modern and cosmopolitan in central Asia, and feels more developed than many European nations. As the country is quite spread out (it is the largest landlocked country in the world), most tourists just focus on south and head to the most populous city, Almaty, where one can also enjoy the nearby mountains. There you have beautiful lakes and scenery, great for both trekking in the summer and skiing in the winter. Almaty is also the most pleasant city and has the best nightlife. However, I believe the modern capital Nur Sultan (formally Astana) is a little under-rated and worth a weekend. It’s quite spread out and freezing in winters, yes, but taxis are dirt cheap and so are internal flights (around $50). Here everything is gleaming and new, and there are almost no tourists. 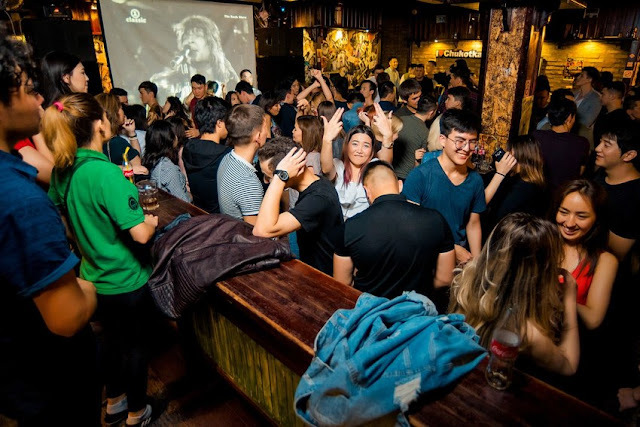 The nightlife is also catching up with Almaty, and here you maximize your exotic capital. Getting around everywhere as taxis are dirt cheap using the app Yandex. Buy a cheap sim card from Beeline. As for the women, good looking ones are hard to find during the day, but they all come out of the woodwork on the weekend. They are a little conservative like the women of the Caucasus (many are virgins before marriage), but they are very receptive and finding one that is down is doable with a bit of patience. I rate the chances of hooking up at 2.5/5 (you’ll need a bit of luck) for a native Kazakh, and 3.5/5 for a Russian. If you have about two weekends you should get the job done. My number one suggestion? Learn Russian. Shout out to Masculine Traveler for this men’s guide on detailing his summer in Almaty. The info was great and I recommend you check it out. Also shout out to the Kazakhspam crew. I got to party with IrishdoesAsia and Brisey from the Rooshvforum and it was a blast. Those two lads are absolute gents. Before reading the rest, check out this little 3 minutes video I did of the country giving a glimpse of the places I visited. Kazakhstan recently removed their visa requirements for the EU, US and many other developed nations, so getting in is now a breeze. Furthermore, WizzAir just started flying to the capital for DIRT CHEAP from Budapest. I flew there for just 39 EUR in February. I only had a very limited time in the country, but here are my top three recommendations for winter. This itinerary is ideal for 10 days with a weekend either side of it. However, you can easily do it in 5-6 days if you don’t care about catching the weekend in Astana. Nur-Sultan (Astana) the capital. The Dubai of Central Asia earns it’s name and is worth a day’s sight-seeing or a weekend. Almaty is worth as much time as you can afford. A really nice city to hang out in for a week or longer. It’s even worth living in for a time. Chimbulak ski resort. The good thing is you can ski here and still base yourself in Almaty, as the gondola is only 40 mins away. You can easily ski the whole resort in a day…twice! Appearance: The pictures above represent the best of Kazakhstan, but on first impressions the vast majority of Kazakhstanis appear unattractive and a little over-rated in my opinion. I’m sure I would have had a different opinion outside of winter when the women were not so covered up. However, don’t be disheartened. There are still plenty of beautiful slender frames about, and although I only saw one or two good looking girls during the week in the daytime, in the bars at the weekend they suddenly became abundant. I even saw the rare 8 or 9. No surprise, the best looking girls in Kazakhstan are usually of Russian/Ukrainian decent or mixed. Approximately 21% of Kazakhstan are Russian, but they are not as visible as you’d imagine. Attitudes: Overall, Kazakh girls are friendly, wholesome, and a little conservative. They will either ice-wall you and brush you off immediately (especially if there’s a language barrier) or they are extremely receptive and warm. There is no middle ground. Generally, however, they are far more pleasant to deal with than girls in Europe and elsewhere. As a foreigner your status is high and many girls she will be glad to talk with you. I received a lot of female attention during the day. Kazakhstanis practice a liberal form of Islam (think Turkey). While most women marry in their early 20’s and remain a virgin until then, they don’t wear the hijab and many drink alcohol. Obviously, club-goers and Russians are more liberal. Gaming Strategy: While a surprising amount of girls speak English, you are severely limiting your options without Russian. I strongly recommend you check out Pimsleur Russian. With this program I was easily able to hold a conversation with people. For logistics, I recommend getting your own apartment. I’ve listed some recommendations in the city snapshots. In terms of strategy, patience is key. You can be direct in your approach, but don’t escalate too fast. PDA isn’t big here. If she wants you, she is more likely to accept an invitation back to your place than make out with you in public. However, one night stands are not the norm as women tend to cluster and not leave a girl behind. It’s best to build rapport, dance, chat, exchange numbers, and seal the deal on day 2. Just make sure your not dealing with a virgin and wasting your time. This is obviously less of issue with Russians, and these women are more likely to have one night stands. The ones who’ve probably never been out of Kazakhstan before who are very wary of foreigners and have their own circles. Most probably don’t speak English but you wouldn’t know because they just blank you on approach. The other type were chicks who seemed a bit more worldly. The spoke at least some English, travelled a bit or went to uni outside Kazakhstan. They’re super excited to meet foreigners… that was my impression anyway. Side note: Previous reports stated the local men were quite aggressive and possessive of the local women, however our group had the opposite experience and found the local lads quite amicable. I guess it depends. 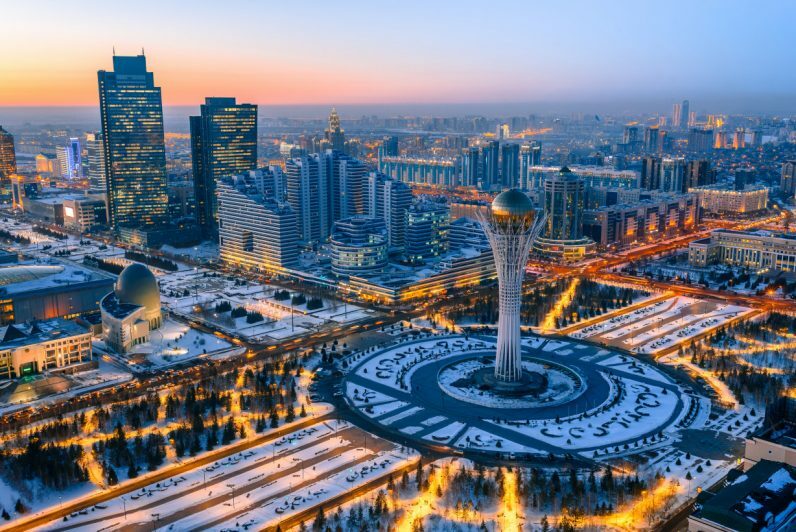 Kazakhstan’s capital was basically built from scratch in the last few decades. It’s well planned out, modern, slick, and boosts a lot of impressive architecture. I’d recommend checking out the national museum and then talking a walk in a straight to the world’s biggest tent Khan Shatyr. The walk takes about two hours, but along the way you pass all the city’s main sights, such as the presidential palace and Baiterek tower. I stayed as these new apartments in the “old town” of Saryarka, just north of the center by the river. These studios are large with great facilities, cheap, come with great views of the river, and there’s an Irish pub and several restaurants right underneath the building! The surrounding neighborhood is also more compact and has many bars and restaurants within walkable distance. Be sure to get a horse steak on LineBrew! Here was the view from my window on a cold February morning. There is a lot of great info online about Almaty already, so I’ll start by pointing you to some great resources before I give my 2c. Again, I highly recommend checking out this Amalty guide by Masculine Traveler for a in-depth on the city. For even MORE nightlife info, check out this great guide by Jakarta100bars. And finally, also check out this forum post by CoolRunnings, detailing his 3 weeks there. As for nightlife, the scene was dead mid-week. The only exception was Wednesday (little Fridays they call it). A handful of people were gathered to watch live music at popular student hangout Kino Cafe. On the weekend, I followed some recommendations and checked out popular venues Chukotka and TSB. Chukotka was excellent. It’s like a giant mansion house party set over two floors, with a laid back crowd and friendly atmosphere. However, don’t bother coming till after midnight. People only START to come in then. TSB was more Russian but was pretty sedated in winter. I much preferred Chukotka, but I’d say summer is different. This small ski resort is the perfect day trip from Almaty in winter, but don’t bother staying overnight here. There is essentially only 3 or 4 lifts and one main artery either side of the mountain, and you can ski the whole resort in half a day. Click right on the image below and check out my short video. Why not check out more cheeky Guides? For more info on Kazak if you have any questions, check out the links below or leave a comment. If the girls are hotter at night..that just means those same girls are good with make up. …its the east after all.